So as we mentioned, Northampton is not known for its waterways. As much as we may wish for it, the closest that Northampton is going to get to Venice is when the skies open up and Billing Aquadrome replaces gondolas for floating holiday homes. This has not stopped one man however, whose dream was to own a floating restaurant. Back in 2008, local resident Jack Patel had a somewhat ambitious dream; to create the first ever floating restaurant on the River Nene running through Northampton. What followed was years of struggle, strife, planning and paperwork, including sourcing the white barge and transporting it to Northampton. To say the experience was not smooth sailing would be an understatement, however after countless hours the Ark had its maiden voyage at the end of 2014. The family run business has Captain Jack at the helm, with his with wife Charlie and his daughter Hema overseeing the running of the restaurant. The question we hear many of you asking is where is it? Surely you would have spotted a large barge anchored somewhere in Northampton. Ironically, you may have driven past the ship many times without having ever spotted it. Anchored on the River Nene in Midsummer Meadow – where the 2014 Northampton fireworks took place – the barge can be accessed by turning off Bedford Road, close to the William Morgan BMW dealership. The white barge has three dining areas, the main area being the restaurant, a small lounge located at the front and an open air top deck. The interior is simple and clean, with the views from the windows and the top deck providing a wonderful backdrop. 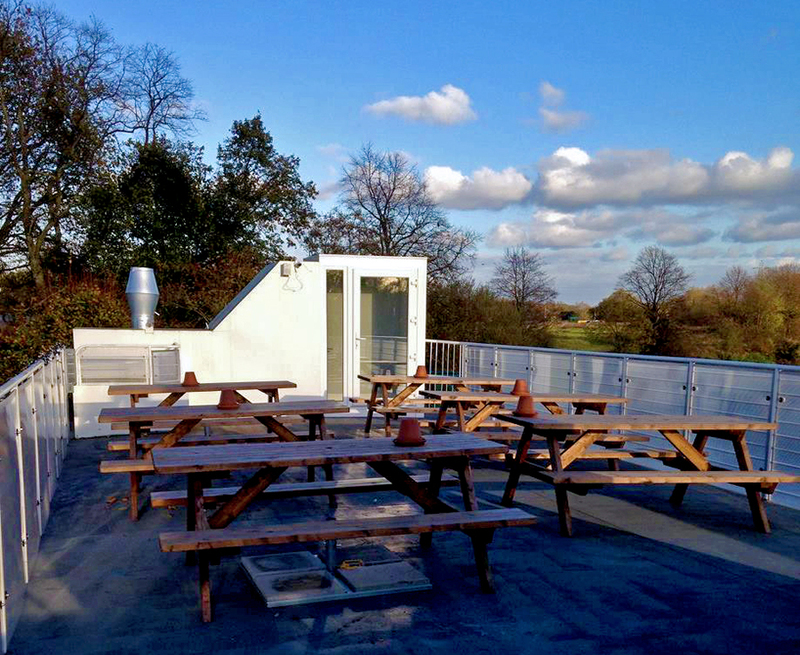 When the warm spring months and hot summer months (we hope) arrive, we can see the top deck becoming a popular haunt for Northampton’s gents, with Midsummer Meadow providing a scenic view to enjoy a beer or glass of wine. The ship runs a lunch service Tuesday to Sunday from 12:00 to 14:00 and dinner service 18:00 to 21:00. The Ark is also open on Sunday, serving food from 12:00 to 16:00. With the restaurant still in its early stages, the menu is varied and has no consistent style of cuisine, offering dishes from all around the globe including American, French, Indian, Russian, English and Italian. This can make the menu slightly confusing when trying to identify what dishes to opt for. 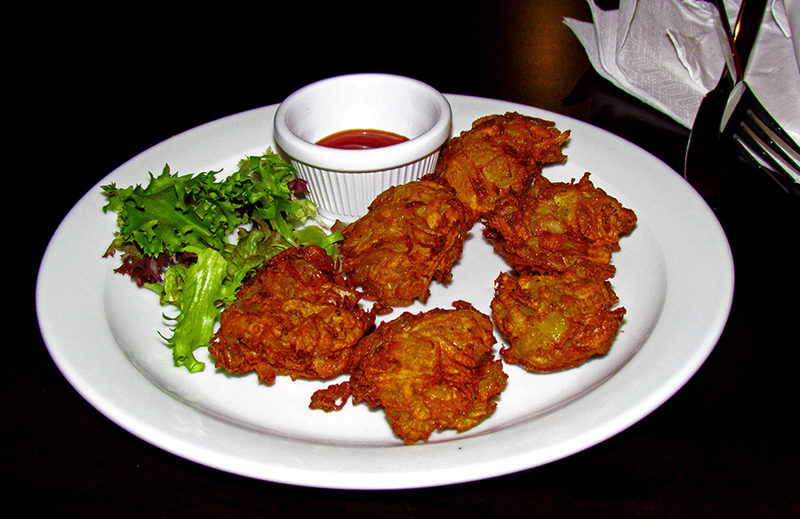 For starters, we decided to try ‘Charlie’s Famous Onion Bhajis’ (£5.95). A family recipe, the bhajis are cooked fresh to order, letting Charlie adjust the heat based on customers’ preferences. The bhajis managed to live up to their name; light and crispy with the ideal level of heat on the tongue to excite the taste buds without impairing the rich, spicy flavours. For a main, we decided to put the ‘Burger Stack’ (£10.95) to the test, and we will do an individual review for that on our Northampton Burger search. Just know that on this most rare of occasions, we were unable to consume the entire stack. Defeated by the stack, we were unable to squeeze room for dessert, but the Chocolate Fudge Cake comes highly recommended for those gents with a sweet tooth. The lunch menu is made up of a selection of the usual lunch fare such as soups, sandwiches and paninis, whilst the barge also does a rather interesting curry night on a Wednesday. 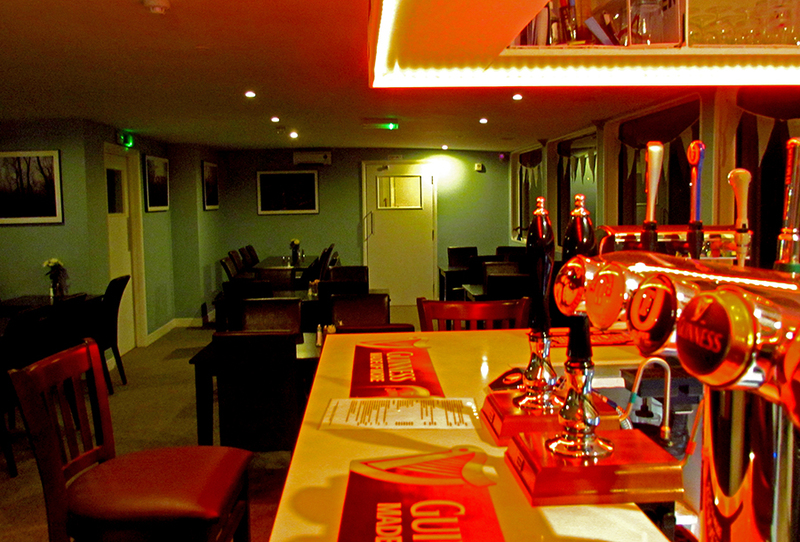 All the curries are cooked fresh to order and patrons are able to specify their individual spice requirements for £7.95. We would have high expectations for the homemade curries following the onion bhajis and would recommend that those fond of their spice indulge one fine Wednesday evening. The barge also serve a Sunday Roast on, you guessed it, Sunday. On the drinks side, Jack has some interesting spirits behind the bar that will bring a smile to the face of any drunken sailor, including Ciroc vodka, Bulleit bourbon, Henri Geffard cognac and Silver Patron tequila. For the warmer spring and summer months, the barge has a selection of Old Mount ciders which would be delightful to enjoy on the deck on a warm afternoon. Where the barge really excels however is with its wines, boasting a comprehensive selection of whites, reds, roses and champagnes. The Ark really does stand as a testament to Jack’s determination to bring something new and different to Northampton, and it is that kind of thinking that we can respect. With summer approaching, we think this is when the Ark will really come into its own. Enjoying the top deck and scenic surroundings in the sun will surely be a decisive factor for returning to the ship long after the novelty of being on the floating barge wears off. 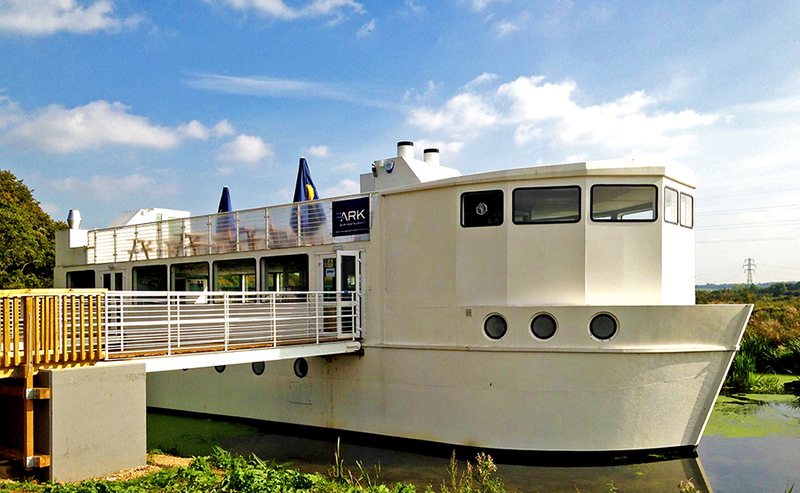 What the Ark also provides is the opportunity to host boat parties in Northampton – never did we ever imagine being able to write ‘boat party’ and ‘Northampton’ in the same sentence – with the unique venue making it ideal for hosting events. There is still a level of refinement that needs to be done, especially regarding drilling down the direction of the menu and really making the top deck sing, but the concept is strong and the potential is incredible. It seems the Ark has given us another reason to look forward to the summer.